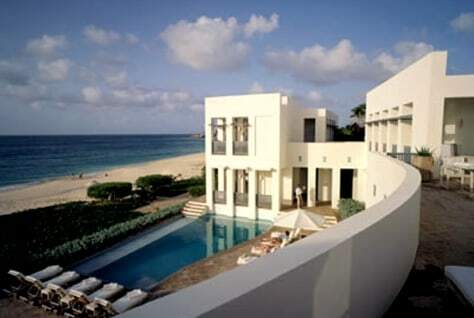 This 13,000-square-foot oceanfront property in Anguilla has seven bedrooms and eight-and-a-half baths. There’s also a pool, a Jacuzzi, a tennis court, an in-house spa and an outdoor garden with a fountain. The rental comes with a staff of 14.